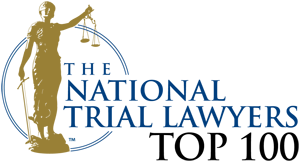 The National Trial Lawyers is a professional organization composed of the premier trial lawyers from across the country who exemplify superior qualifications as civil plaintiff trial lawyers. Only the top 100 trial lawyers from each state or highly-populated regions of certain states are eligible for invitation. Invitees must demonstrate superior qualifications, leadership skills, and trial results as a legal professional. The selection process for this elite honor is based on a multi-phase process based upon objective and uniformly applied criteria which includes peer nominations combined with third-party research. to There are over 100,000 attorneys licensed to practice in Texas. 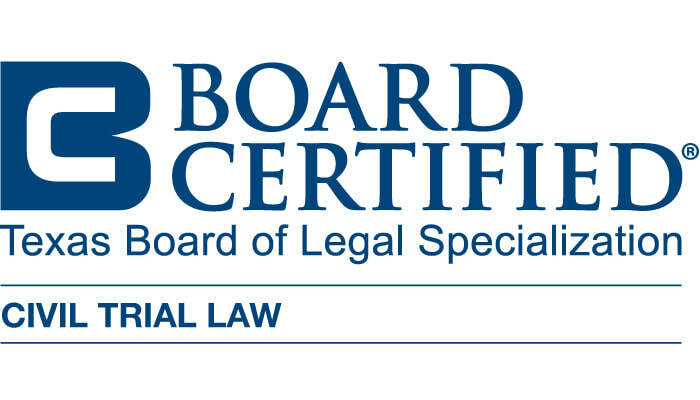 Less than 1% have earned the right to be publicly recognized as Board Certified in Civil Trial Law. Civil Trial Law certification requires superior legal trial skills for handling claims involving business and business owners, breach of contract, negligence, creditors and debtors, deceptive trade practices. In 2009, when C.D. took the exam for certification, of the 19 attorneys who met the rigorous qualification standards to sit for the exam, only 2 of them passed initially, one of them was C.D. Martindale-Hubbell Peer Review Ratings, a long-recognized industry standard in attorney ratings, have recognized lawyers for their strong legal ability and high ethical standards for more than a century. AV Preeminent is the highest peer rating standard. This rating signifies that a large number of the lawyer's peers rank the attorney at the highest level of professional excellence for their legal knowledge, communication skills and ethical standards. The Texas Bar College is an honorary society of lawyers who are among the best trained attorneys in Texas. Members are qualified attorneys who are interested in both high ethical standards and improved training for all Texas attorneys. The College recognizes Texas lawyers who attend at least double the Continuing Legal Education (CLE) required by the State Bar of Texas.